Writers' Project Searched For American Stories From 1935 to 1939, an army of folklorists and writers went in search of tales both real and tall. These stories of America in the Great Depression were gathered by literary giants like Ralph Ellison, Zora Neale Hurston and Jim Thompson. A new book revisits the project. Imagine literary giants on the government dole. That was one of the experiments of the New Deal era. During a span of five years, novelists like Richard Wright and noir writer Jim Thompson went in search of America's stories. They were part of the Works Progress Administration's Writers' Project. With pencil in hand, the writers traveled from Lenox Avenue in Harlem to the slums of Oklahoma City documenting a people in transition. 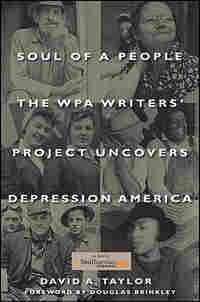 The Writers' Project resulted in the landmark WPA state guides. Each book mixes travel routes with historical narratives. The guides revealed an America quite different from the official history books. One reviewer writing for The New Republic in 1939 wrote, "The guides are a vast catalogue of secret rooms. It is a grand, melancholy, formless, democratic anthology, a majestic roll call of national failure, terrible and yet engaging. The American Guides make some of the horrors of the present less difficult to endure." 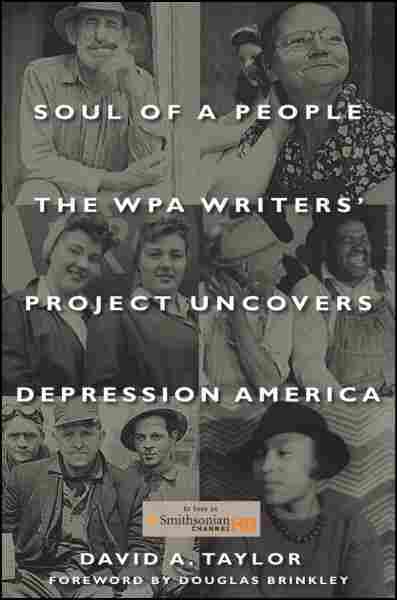 Author David A. Taylor's new book, Soul of a People: The WPA Writers' Project Uncovers Depression America, takes a look at the authors behind the WPA guides. Taylor tells the stories of noted writers like Zora Neale Hurston, and more anonymous chroniclers like Ruby Wilson, an unemployed nurse in North Platte, Neb. They worked tirelessly, collecting stories of everyone, everywhere.